Just started cycling and find it a PITA to clean your new expensive bike ? Look no further than a cycling workstand. besides being able to do repairs on your bike, it is also an another way to store your bicycle ! Thanks to park tools for the image! It works by clamping your bicycle seat tube or top tube to the clamp. 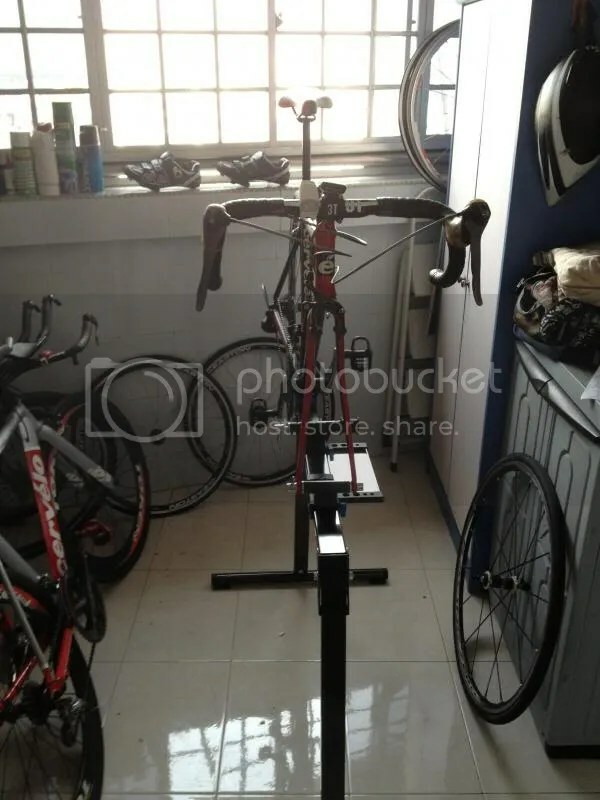 The other type is the bb supporting type, an example is the one which I bought which is the Tacx T3075 workstand. Thanks to Tacx for the image! It works by resting your bottom bracket on the stand and then clamping your fork on to the support provided. Why did I choose this type ? Though it occupy more space, its stable base, the lack of any clamp on to the frame which reduces risk of scratches and damaging of the tubes. More over I feel that it is easier to apply pressure for the removal and installation of parts to the bicycle. IntroductionUpon removal of the box, you do need to assemble the stand which takes approximately 10-15 minutes of your time and basic tools such as Phillip head screwdriver, flat head screwdriver and allen keys . Instructions were a little dodgy as there is only a picture illustration and no parts numbers so its all about matching the correct screw length to the parts. The stand actually has a stand for the front fork and another to clamp the rear dropout. While an innovative idea, I have not used the rear dropout clamp which claims to provide adjustments for the rear hub. The bottom bracket support is also made out of plastic so as to prevent any damages/scratches to the bottom. If there is a need for additional protection, one can use old inner tube and wrap it around the edge of the bracket to cushion it further. There is even an additional tray provided to hang all your tools on it, which is pretty great and though it is not magnetic. for that price value of the item. i feel that it is a minor flaw to the item. The frame however, seems to be of a magnetic material which is good for sticking all your magnetic tools on it. Weight wise it is not pretty heavy, I have not weighted it and it is portable enough to move around, good for washing your bike around a water drainage outlet. If the stand is not needed it can be easily dismantled and folded away though you may need to unscrew the support legs off to provide ultimate compactness. At around 91 pounds on CRC (roughly 180 sgd) it is not the cheapest stand in the market, however I think it is the cheapest BB support stand in the market. It provides outstanding value by giving a tool tray, something which must be bought off the shelf should you purchase a Park Tools or Toppeak Repair stand. Though stands are normally expensive, the long term benefits will far outrun the cost of the item as there is no need to overturn your bike to clean it properly and risk scratching your brand new leather seats or bar tape. 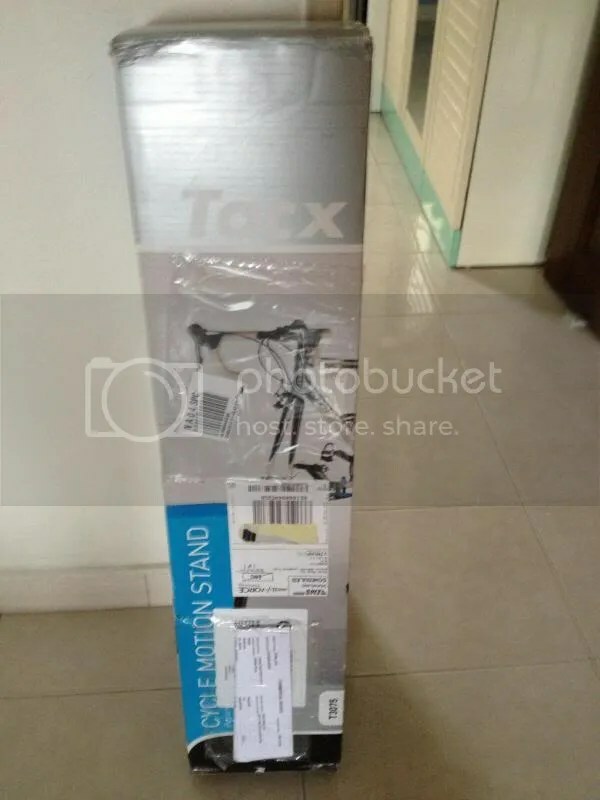 This entry was posted in Reviews, Tacx and tagged Cycle motion stand, Cyclemotion, T3075, Tacx. Bookmark the permalink.